Come to the Open House(s)! 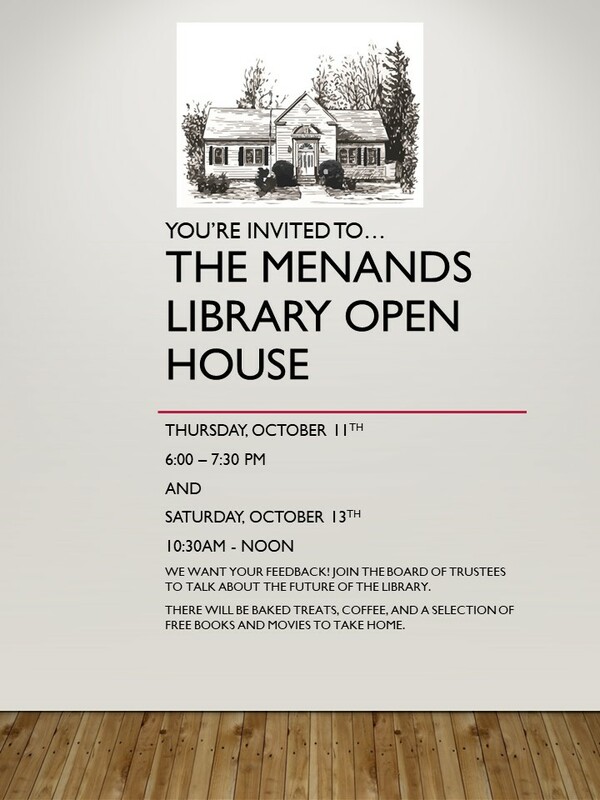 Menands Library is holding open houses on Thursday, October 11th from 6:00 to 7:30 pm and Saturday, October 13th from 10:30 am to 12 noon! The library board of trustees is planning to make some changes at the library, and they’d love to know what you think! There will be coffee and baked treats for you to enjoy. We’ve also been doing some cleaning of our collection, so there will be hundreds of free books and DVDs to choose from! This entry was posted in Library Events by mendadmin. Bookmark the permalink.